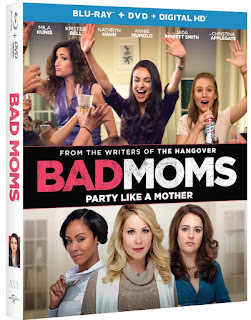 Bad Moms, the year’s biggest R-rated comedy – a runaway hit with audiences and critics alike is out now from Universal Pictures Home Entertainment. The raunchy film described as “incredibly funny!” by Chris Nashawaty, Entertainment Weekly, is the first R-rated comedy since The Hangover to earn an “A” grade from audiences nationwide. Hailed by critics from The New York Times, Chicago Sun-Times and Washington Post, Bad Moms is one comedy not to be missed. The Blu-ray™, DVD and Digital HD come with nearly an hour of exclusive bonus content including hilarious deleted scenes, gag reels and exclusive interviews with the cast and their moms that will have everyone laughing again and again! There aren't too many comedies with female casts out there for us women. Seriously, I have not laughed so much at a movie in a long time. 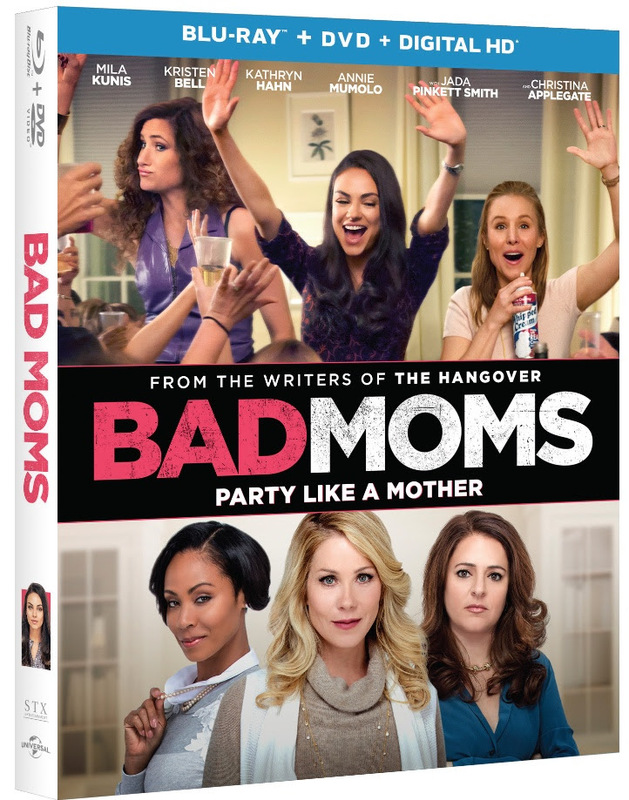 Universal brought us Bridesmaids and now another fabulous comedy for the ladies with Bad Moms! Mila Kunis stars as Amy, a hard working mother of two pre-teens, who balances work, marriage, kids and all the crazy things the PTA moms come up with. When she catches her husband cheating, she finds herself doubting her parenting, her life choices, etc. She decides she needs a change, she doesn't want to be the perfect mom anyone more. Her kids can make their own breakfast for once, the PTA president can forget about homemade gluten-free, dye-free, etc. treats for the school bake-sale and her boss who relies on Amy for everything can learn to manage on his own. Amy needs this time to cut loose and form crazy mom bonds and learn more about herself! Even though it is a comedy, as moms we can related to all the craziness from balancing working outside of the home, totting kids to sports, sending items to school, making dinners, etc. We aren't perfect, but we try to be for our kids and at time we get exhausted. One cute part of the movie reminded me of me with my kids. Amy and her children are driving in the car and singing along to Walk the Moon's "Shut Up and Dance", my kids and I do that all the time. We love to jam in the car and have so much fun sometimes singing and carrying along!